Our most popular woodturning course, the Woodturning 101 Workshop is highly recommended for those who have little or no experience on a wood lathe. Also, we recommend this course for those who have spent significant time on the lathe yet are not proficient in sharpening and proper cutting techniques. Scott Cherry graduated from Brigham Young University in 1983 with a BS degree in Industrial Education. He taught woodworking at Eisenhower Jr. High for four years and then at Timpview High School in Provo Utah for the past 27 years. Eighteen years ago he started a lathe turning class in the high school which was the first such class ever in the state of Utah. 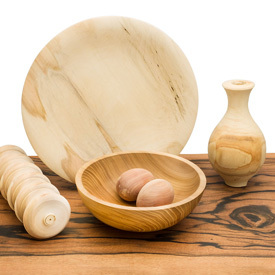 During his teaching career Scott has taught many students the art of turning and has seen them take a great interest in and continue on in woodturning. Scott has always found great personal pleasure in seeing students succeed in and enjoying turning.